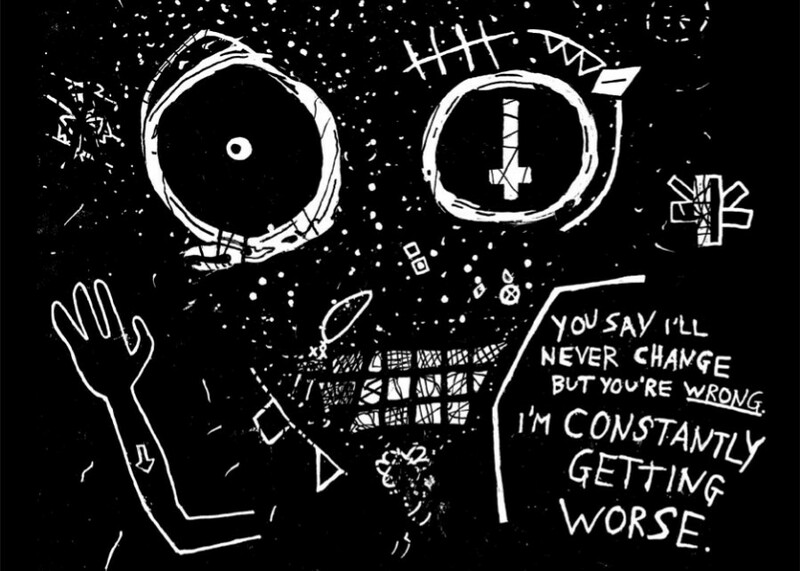 “Constantly Getting Worse.” 5/10/15. 12×9″. I’m not actually 100% sure of when this was made but it was sometime in 2015, to be part of a t-shirt design for the band, Angel Lust. The text in the piece is actually a lyric from their song, “Trudge.” You can listen to it here .